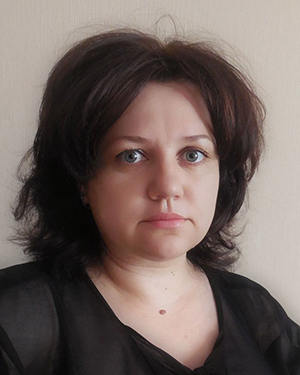 Olga Savelieva – attorney at law of the International Bar Association “Law firm “Levant and partners” in Moscow. In 2001 she graduated from the Saratov State Academy of Law (SSAL), specialization – law. From 1999 till 2001 she worked as a counsel in a construction company. Having joint the bar community immediately after her graduation Olga dedicated her life to the protection of rights and legal interests of people. In 2007 she participated in a professional -skills- enhancement course in the Russian Bar Academy with the program being «Conduct of a Attorney at law in the Arbitration Proceedings». During her 15-year experience as a attorney at law. Olga has conducted a vast number of negotiations between both individuals and legal entities in the course of procedures of the amicable settlement of disputes, provided legal support of various organizations (including those specializing in medicine and fire security), as well as of individuals in the context of criminal cases at different stages of proceedings, in courts of all instances (including jury courts). She has extended experience of the legal protection of individuals in the Constitutional Court and the European Court of Human Rights, has taken part in the civil and administrative cases where she represented individuals and legal entities in the arbitration courts and in the courts of general jurisdiction. In the process of advocacy Olga is guided by the principles of confidentiality and objectivity.